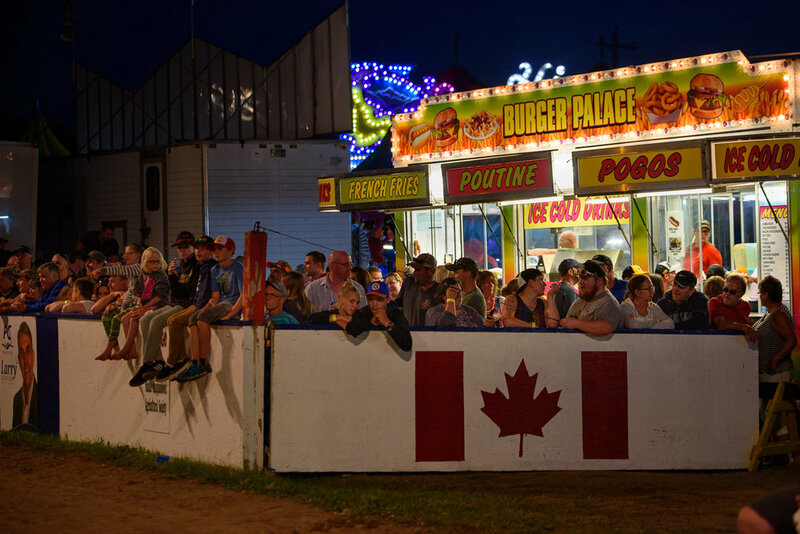 Whether it's the Hants County Exhibition in Musquodoboit or the Halifax County Exhibition in Windsor, it's really just The Ex. If your boots don't have spurs, you might not be from around here. An incredible amount of pride, preparation, skill, talent and good ol' fashion hard work went into those ribbons. Can you ride? Can you ride while being judged and under the gun of the stopwatch? When the sun goes down; a different kind of horsepower takes the stage. No detail goes unattended. The cowboy makes a final adjustment before he enters the arena. All are welcome and if you're not cowgirl or cowboy already, you'll wanna be one by the time you leave.